19 Commonwealth is located on the north side of Commonwealth, between Arlington and Berkeley, with 17 Commonwealth to the east and 21 Commonwealth to the west. 19 Commonwealth was designed by architect Henry Van Brunt and built in 1867-1868 as the home of Thomas Coffin Amory and his sisters, Rebecca A. Amory and Isabella L. Amory. Thomas Amory was an attorney, poet, and author of works on history and genealogy. The land on which 19 Commonwealth was built was purchased by the Amorys on November 1, 1867, from William Howard Gardiner, who built 17 Commonwealth next door as his home. 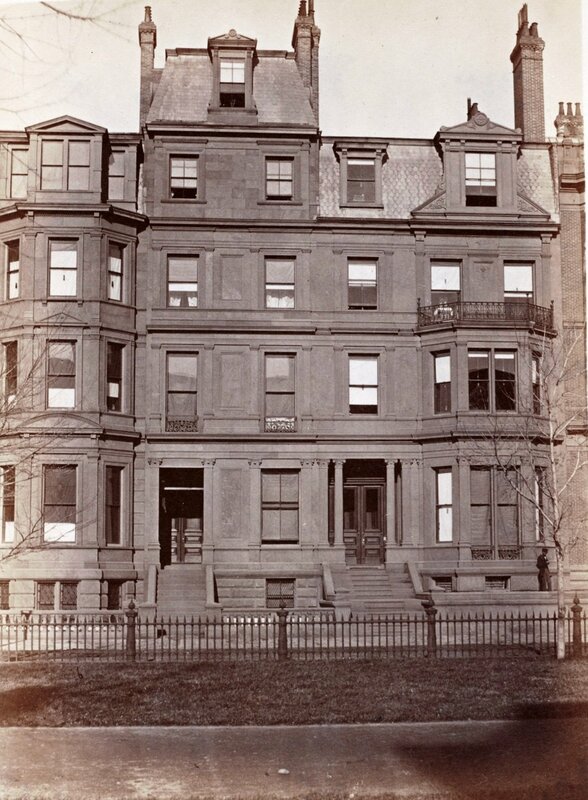 He had acquired the land for the two houses on September 11, 1866, from his nephew, Thomas Forbes Cushing, and had subdivided it into a 30-foot lot, where he had his home built, and a 20-foot lot that he sold to the Amorys. The land had been part of a larger tract that originally had been purchased from the Commonwealth of Massachusetts on May 2, 1860, by shipping merchant and US Congressman Samuel Hooper. 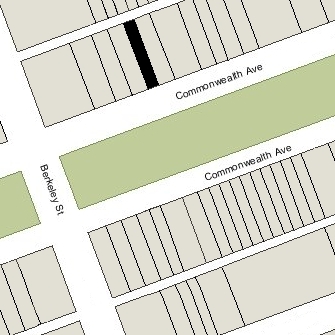 That tract extended west from the lot where 11 Commonwealth would be built to the corner of Commonwealth and Berkeley. Samuel Hooper and his wife, Anne (Sturgis) Hooper, built their home on the corner lot, at 27 Commonwealth. Click here for an index to the deeds for 19 Commonwealth. When he sold the land to the Amorys, William Gardiner specified in the deed that “the front of the house first to be erected on said granted premises shall be built in conformance with plans of building designed or approved by Henry Van Brunt architect.” On November 11, 1868, he recorded with the deeds his acknowledgment that the house at 19 Commonwealth had been built in compliance with this requirement. Isabella Amory died in January of 1888, and Thomas Amory died in August of 1889. Rebecca Amory continued to live at 19 Commonwealth until her death in November of 1894. On November 23. 1895, 19 Commonwealth was purchased from the estate of Rebecca Amory by Dr. Henry Lyman Shaw. He and his wife, Annie (Whipple) Shaw, made it their home. They previously had lived at 431 Boylston. Henry Shaw was a surgeon specializing in diseases of the eye and ear, and also maintained his office at 19 Commonwealth. Henry Shaw died in April of 1911. 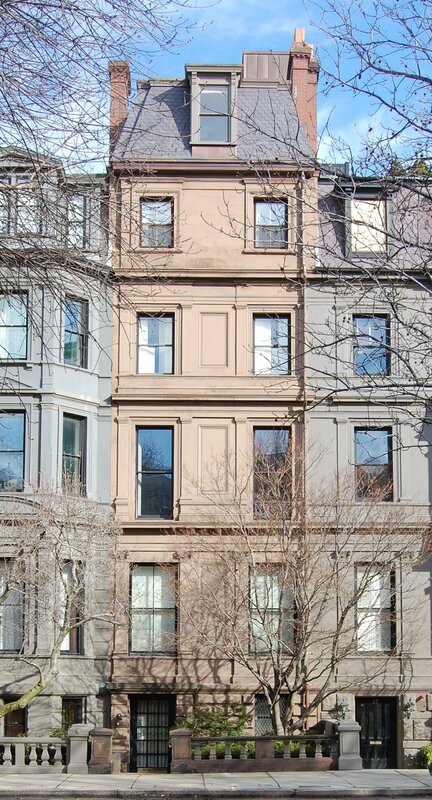 Annie Shaw continued to live at 19 Commonwealth during the 1911-1912 winter season, but moved thereafter. On July 13, 1911, 19 Commonwealth was purchased from Henry Shaw’s estate by Mary Ellen (Ruby) Morrison, the wife of architect William Langley Morrison. 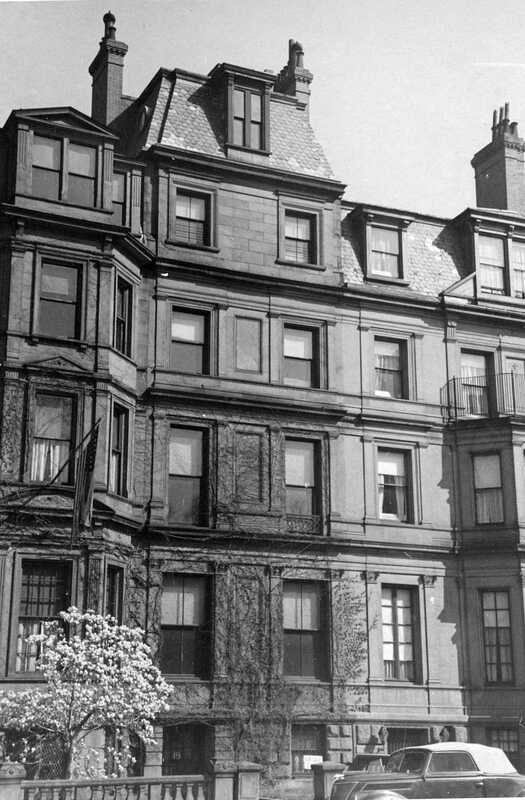 They also owned 11 Commonwealth, where they had lived until about 1909, when they moved to 127 Revere. By 1913, they were living at 279 Dartmouth. On August 24, 1914, Ellis L. Dresel foreclosed on the Morrisons’ mortgage and sold 19 Commonwealth at auction to real estate dealer Francis Murray Forbes. The next day, he sold the property back to Mary Morrison. The house was not listed in the 1913-1914 Blue Books. On September 30, 1914, 19 Commonwealth was purchased from the Morrisons by professor and MIT President James Mason Crafts. 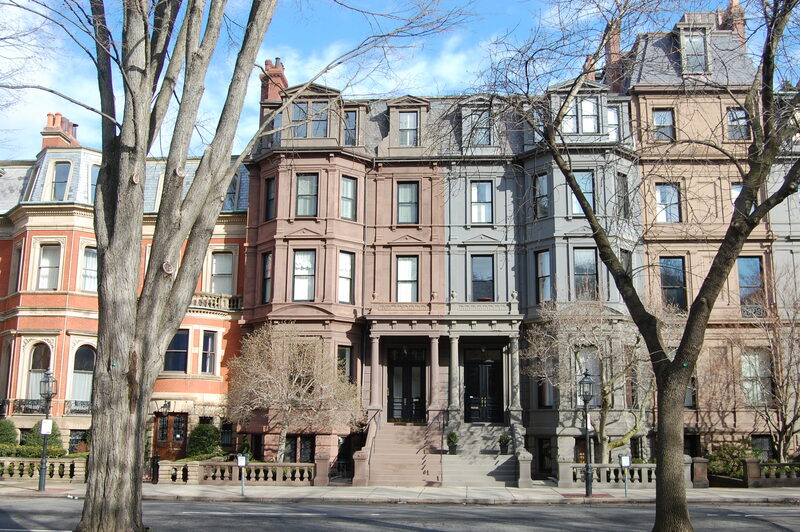 He previously had lived at 111 Commonwealth with his wife, Clémence (Haggerty ) Crafts, who had died in February of 1912. Their two unmarried daughters, Elisabeth Sedgwick Crafts and Clémence Crafts, lived with him. In October of 1914, he applied for (and subsequently received) permission to lower the front entrance of 19 Commonwealth from the first floor to the street level. He and his daughters lived at 35 Lime Street during the winter of 1914 while their new house was being remodeled. Plans for the remodeling are included in the City of Boston Blueprints Collection in the Boston Public Library’s Arts Department (reference BIN L-5). No architect is identified on the permit application nor on the plans. James Crafts died in June of 1917. Elisabeth and Clémence Crafts continued to live at 19 Commonwealth. They were active in war relief efforts and in September of 1917, Clémence Crafts traveled to France to work as a truck driver for the American Fund for French Wounded. They subsequently moved to Lewisboro, New York. During the 1918-1919 winter season, Elisabeth and Clémence Crafts were in Washington DC and 19 Commonwealth was the home of mining executive Edward Andrew Clark and his wife, Elizabeth (French) Clark. Their primary residence was Fairholme at 3 Rockwood in Jamaica Plain. By January of 1920, 19 Commonwealth was the home of cotton broker Theodore Frothingham, Jr. and his wife, Eleanor F. (Fabyan) Frothingham. They previously had lived in Washington DC. On June 22, 1920, Eleanor Frothingham purchased 19 Commonwealth from the Crafts family. They continued to live there during the 1921-1922 winter season but moved thereafter to 269 Beacon. On June 28, 1922, 19 Commonwealth was purchased from the Frothinghams by Lucy Freeman (Winslow) Hill, the wife of Dr. George Jackson Hill, a physician. They previously had lived at 103 Beacon. They also maintained a home in South Orleans. In September of 1922, they applied for (and subsequently received) permission to extend the elevator to the fourth and fifth floors and to add a penthouse on the roof. The remodeling was designed by architect Henry Bailey Alden. Plans for the remodeling are included in the City of Boston Blueprints Collection in the Boston Public Library’s Arts Department (reference BIN G-50). George Hill died in October of 1940. Lucy Hill continued to live at 19 Commonwealth until about 1942. On December 9, 1942, 19 Commonwealth was purchased from Lucy Hill by Arnold Vogl and his sister, Edith, as their home. Their mother, Rosa Vogl, lived with them. Dr. Edith Vogl was a noted musicologist. She was an instructor at the New England Conservatory of Music and later at Boston University. She had come to the United States as director of music for the Czech Pavilion at the New York World’s Fair, and remained in the United States after Czechoslovakia was over-run by Nazi Germany. With the help of Eleanor Roosevelt, she became an instructor of art and music at Keuka College in New York. She moved to Boston in 1942. Arnold Vogl had emigrated in about 1940. He operated a sardine canning company in Eastport, Maine, where he maintained his primary residence. In November of 1952, the Vogls applied for (and subsequently received) permission to construct a brick one-car garage at the rear, 11 feet 6 inches wide by 20 feet long. It appears that it never was constructed or, if it was, it was subsequently removed. Edith Vogl continued to live at 19 Commonwealth until about 1955. On October 7, 1955, 9 Commonwealth was purchased from Edith Vogl and Arnold Vogl by Miss Madeleine Lucette Reilly. She previously had lived in Brockton. Madeleine Reilly was a lawyer and in the early 1960s served as Chairman of the Boston School Committee. Her brother, Charles Frederick Reilly, lived with her. He was a teacher. In September of 1956, she applied for (and subsequently received) permission to convert the house into a single-family dwelling and lodging house. She continued to live there in the early 1970s and probably until her death in August of 1974. On April 16, 1975, 19 Commonwealth was purchased from Madeleine Reilly’s estate by Robert A. Pantano. On October 15, 1976, he sold the property to Anthony J. Sinskey and his wife, Chokyun Rha Sinskey. On May 8, 1978, 19 Commonwealth was purchased from the Sinskeys by Malcolm E. Dudley and his wife, Angeline B. Dudley, as trustees of the Lions Mark Trust. 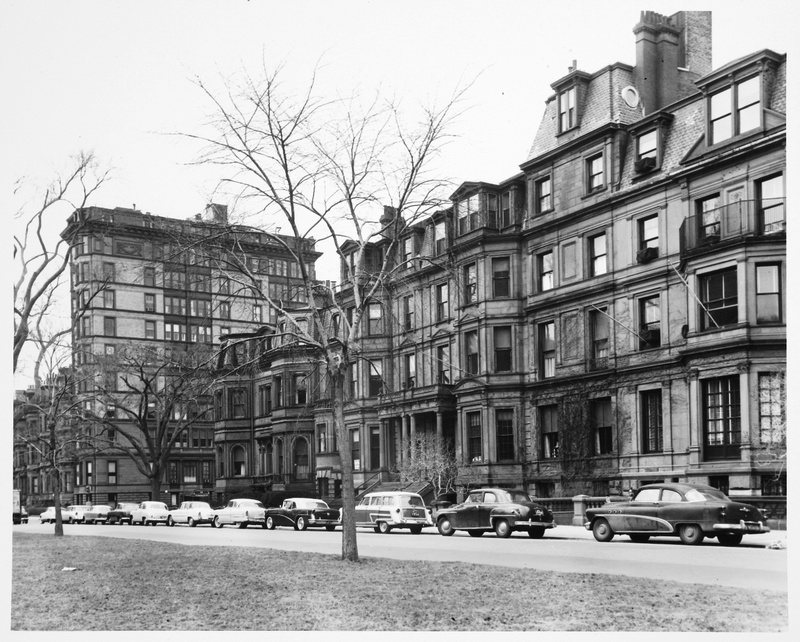 In June of 1978, they applied for (and subsequently received) permission to convert the property into four apartments, and in July of 1978 they converted the apartments into four condominium units, the Nineteen Commonwealth Avenue Condominium. In 1994, the number of units was reduced to three.